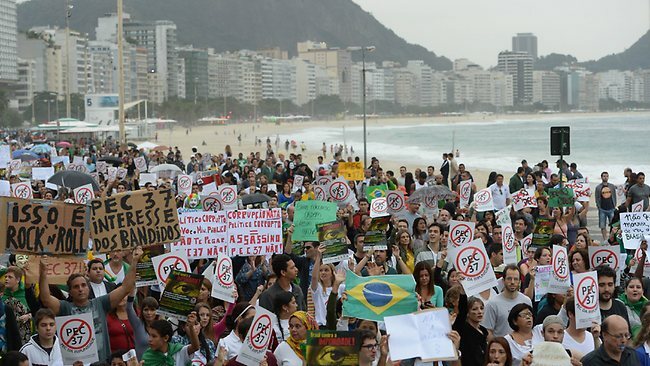 Are Brazilian Protesters’ Demands Being Met? Concessions to the protesters have not only come from the executive branch though. Brazil’s Congress, the most publicly criticized political institution, has essentially reversed its agenda to address constituent concerns. PEC 37, a controversial bill that would have amended the constitution to further protect public officials from investigation on charges of corruption, was overwhelmingly struck down Wednesday. Instead, the House of Deputies introduced and passed a bill that would increase the penalty for corruption, mandating a minimum sentence of four years in prison. Another bill was passed on to the Senate Wednesday, which would allocate the billions of dollars received in oil royalties each year directly to education and health services. The federal government’s progress this week represents an important milestone for Brazilian democracy, as the government has finally acknowledged citizens’ demands for fundamental political reform and greater access to quality social services. Regardless, many Brazilians fear that the Workers’ Party (Partido dos Trabalhadores; PT) the party of Dilma Rousseff as well as her predecessor, Luiz Ignácio Lula da Silva—in office from 2003-2011) will continue their ten-year streak of spreading revolutionary rhetoric while taking little concrete action. Furthermore, those Brazilians familiar with the country’s grave economic situation will continue to hold strong reservations. It does not seem possible for the government to honor its commitments to both invest in quality human services and exercise fiscal restraint. 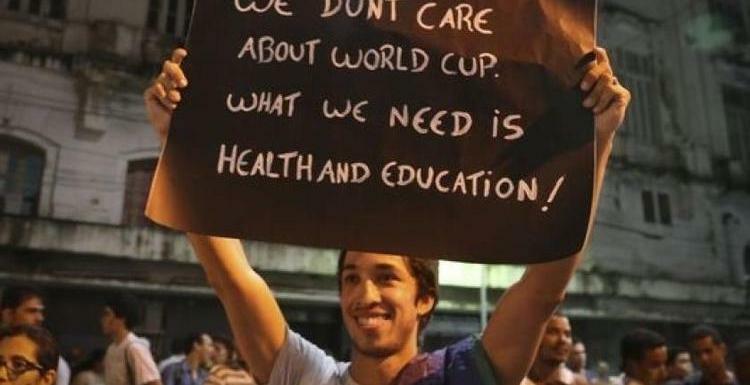 Action must nevertheless be taken if the government is to ensure that angry protesters will not pose security concerns for the World Cup next year. Brazil’s recent economic downturn has placed a heavy burden on both its citizens and the government. Brazil’s average GDP growth in the last two years was a mere 2.0 percent, the lowest in South America. The government’s response—cutting taxes and increasing spending on social safety nets—has resulted in alarming budget deficits and GDP-to-debt ratios, as well as high inflation. Inflation jumped to an annual rate of 6.67 percent in mid-June, exceeding the Central Bank’s 6.5 percent self-imposed ceiling and forcing it to increase interest rates in the country to curb strongly rising prices. This increase in the interest rate, though, will deter Brazilians from taking out loans and making investments, thus perpetuating the economic stagnation. 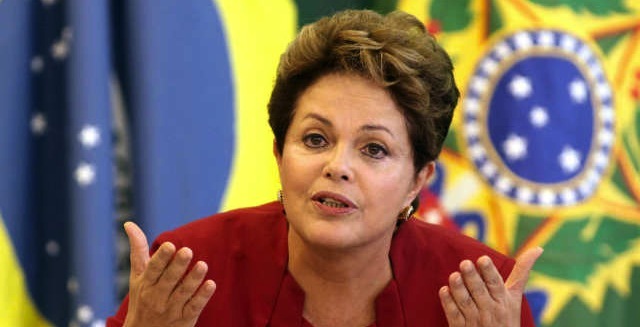 The cyclical nature of these economic woes places Rousseff in a precarious position. The federal government must continue to run a high budget deficit in order to press forward with preparations for the World Cup and the Olympics. However, protesters’ demands for both fiscal restraint and increased spending on healthcare, education, and public transportation are placing impossible strains on the budget. The circumstances seem to preclude the prospect of Rousseff’s pact on fiscal restraint being honored in the near future. Brazil may need to continue social spending and hope that the Keynesian counter-cyclical impact will restart the economic boom and will not bring on too much inflation. Brazil has the highest public expenditures in Latin America, and the third highest tax-to-GDP ratio in the region. Each year, the government of Brazil allocates approximately 2.5 percent of its total expenditure to the Conditional Cash Transfer (CCT) program, Bolsa Família. This program has been undeniably effective, providing a social safety net for over ten million Brazilian families by placing money directly in the hands of those who need it most. However, the program and its exorbitant price tag reflect a larger trend in the federal government of focusing on short-term fixes over long-term investments. While the program has significantly increased the number of children taking advantage of education and healthcare services, the federal government has not made investments in these services to ensure quality and access. In spite of its fame and undeniably positive impact, Bolsa Família cannot incite a transformation in Brazilian social welfare when the institutions that serve as the foundation for healthcare and educational services remain underdeveloped. With a history of superficial investment in social services, there are concerns that Rousseff’s pacts fail to target the fundamental changes necessary for transformation in social welfare. In her pact regarding healthcare, Rousseff has proposed bringing in foreign doctors, particularly from Cuba, to better serve rural areas in the north of Brazil. While the people in these rural areas would undoubtedly benefit from the training and expertise of Cuban doctors, this model is likely not a sustainable solution to the grave and enduring problem of inadequate healthcare. In the long run, funds will need to be allocated to providing more accessible and adequate education in the healthcare profession, thus setting the foundation for an improved Brazilian national healthcare system. While Rousseff is bearing the brunt of complaints that government policies are not bringing sustainable solutions, these programs largely were laid down by her predecessor, Lula, who remains extremely popular in Brazil and abroad. Lula is credited with pulling tens of millions of citizens out of poverty, and, by some counts, expanding the Brazilian middle class to over 50 percent of the population. Although many citizens have been lifted from poverty, they still have not gained access to quality education, healthcare, and public transportation. 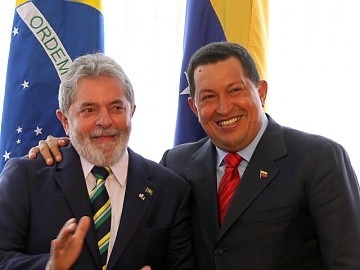 President Lula’s term has been compared to that of the late Hugo Chávez, leader of Venezuela, and his Bolivarian Revolution. Both Lula and Chávez used a similar revolutionary rhetoric, promising a social transformation for the working class. With the Bolivarian Revolution, Chávez channeled constituent power into constitutional amendments that directly addressed societal needs, effectively lifting millions of Venezuelans out of poverty. While Chávez exercised the power to make revolutionary changes to the constitution and the country’s institutions, Lula never had such authority or such a sweeping vision. Despite his revolutionary rhetoric, Lula worked through the existing constitutional framework of his nation, limiting the potential for societal transformation. Lula saw economic growth and investor confidence as top priorities. Lula’s Workers’ Party largely conformed to the prevailing international neoliberal economic model. But while Lula’s fiscal conservatism and compliance with neoliberal policies gained him popularity in the international arena, they had the simultaneous effect of neglecting sectors of Brazilian society desperately in need of change. 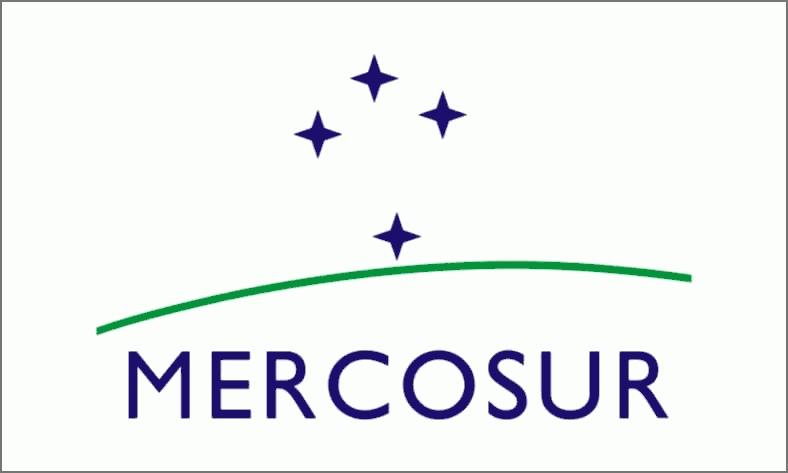 For example, Lula supported the existing agroindustry, which favors the economic interest of elite landowners and the export-led growth model. As a result, he sidelined the interests of rural peasants in need of more equitable land reform. In spite of these shortcomings, President Lula is largely commended for his success in reducing poverty and improving social welfare. However, his policies did not transform Brazilian participatory democracy or the foundations of education and healthcare services in the same way that Chavez’s Bolivarian Revolution did. The recent protests have demonstrated that access to these basic services is understood to be a right of the people, and therefore must be prioritized, especially at a time when a majority of Brazilians identify as middle class and expect a befitting standard of living. Now, just over a decade since Lula took office, the Brazilian people are growing tired of waiting on the change that they were promised. While Rousseff has largely maintained Lula’s popular social policies, she is now bearing the brunt of criticism that they are not sufficiently transforming society. The protests come at a difficult time for the federal government, as they must move forward with the expensive preparations for upcoming world sporting events. Today, the government finds itself at a crossroads in which decade-long expectations have culminated in the articulation of demands for timely and far-reaching change. Rousseff’s five pacts reflect an understanding that investment in social welfare should be the democracy’s top priority, and not continue to take a backseat to efforts for international praise and inequitable economic growth. Still, many protesters remain dissatisfied with the federal government, demanding to see their high taxes allocated toward the services necessary for a true middle class lifestyle. Although the concessions represent an important step toward engaging society in participatory democracy, after more than ten years in power, the PT must finally evolve their revolutionary platform into a concrete plan of action in order to sustain popular support. Given the currently prohibitive fiscal situation, Rousseff cannot transform society overnight, or likely even by the time of the 2016 Olympics. For now, she must push the federal government to enact policies that redirect power from out-of-touch politicians back to their constituents, such that their needs can be addressed in a democratic and sustainable fashion.